Hussein Dajani – Nissan Motor Co.
Hussein has over 17 years of solid Marketing Communication experience in the space leading and building integrated marketing practices within multinational agencies (JWT, Leo Burnett, and TBWA\) and client side (Fortune 500 companies – Virgin Mobile and Red Bull), across the Middle East and Africa region. 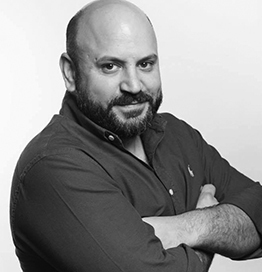 Recently, by nomination from the Global Chairman and Patron of the World Marketing Congress, Hussein has been featured in the 50 most influential digital marketing leaders listing for 2016 and 2017. At present, after a 2 years stint with hug digital as its Chief Operating Officer where he grew gross billing grew by 9% &12.5% and revenues by 21% & 26.5%, won 27 out of 29 pitches in MENA across various verticals, and built, the first of its kind in the MENA region, a state of the art Social Intelligence Hub (Command Center) for analysis of data in real time on all social platforms and online portals, Hussein joins Nissan as General Manager Digital and Customer Experience for Africa, Middle East, India, and Turkey to be responsible for its Digital Transformation. Furthermore, Hussein plays an active role in the advisory council of the World Marketing Congress.